Project for today. 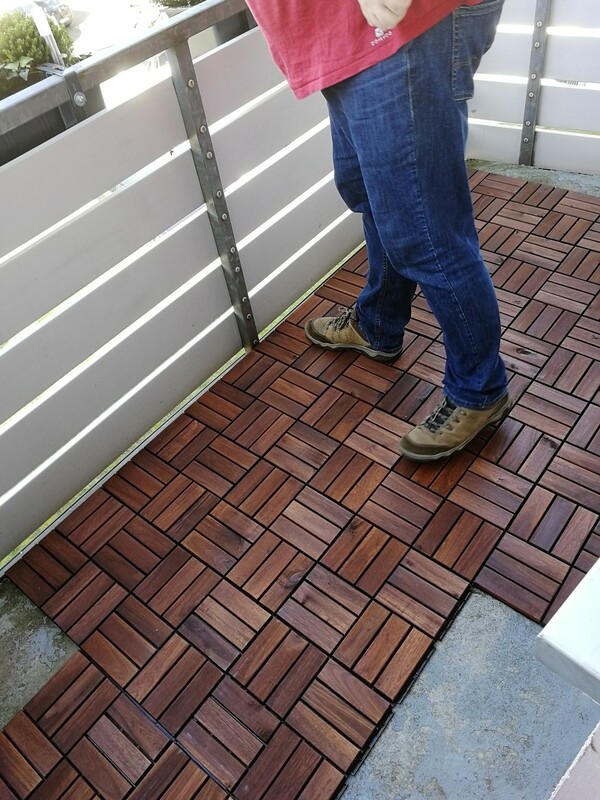 The balcony floor was the thing I didn&apos;t like about our flat, I thought we could maybe do something about it back when we moved in but we got discouraged because the balcony has a weird shape and there would be a lot of small edges but now we&apos;re doing this anyway! The straight pieces were really quick to do, now it&apos;s getting to the difficult part. @Virelai Oh I love it! @Virelai Nice. That gets me thinking, I’ll be moving into a flat with a balcony next week. @toni yay for the balcony!! If it has straight edges it&apos;s really really easy - if not it needs more time but it&apos;s doable too! And so much prettier! @Virelai Yeah, I think it’s just rectangular, so should not be too much work. Let’s see when I get my head free for stuff like that.